Hi everyone! I know I have disappeared for a bit, but not to fret, I will be visiting all of your blogs & catching up as soon as I publish this post :) I've recently started a full-time (4 days) internship within the public relations department at Ann Taylor (part of my college's senior co-op/last semester) in addition to a short day of classes once a week so I have been occupied with that. Anyway, I thought I'd repost this piece that I wrote on my favorite movie, Adam, which I actually wrote for my film class final last semester, but this is the edited version that was also published on my college's student blog. Adam is a delightful, independent film that is an “impressive and oft moving tale brought to life with memorable performances and a bittersweet account of love and its entwined complexities”, as said by IMDB reviewer Jamie Ward. It has gained rave reviews from the New York Post, NPR, The Washington Times, The New York Times as well as applause and enthusiasm from general audiences on online websites such as Yahoo Movies, IMDB, and film blogs. It has been described many times as a “beautiful gem” and “beautifully crafted”, and it certainly stands out among typical independent romantic comedies. Released in 2009, and grossing $2.3 million, Adam was indeed incredibly made. It tells the story of an intelligent, autistic man falling in love with a children’s book writer/ neighbor. Director and writer Max Mayer, says he didn’t set out to make an “issue film” with Adam, but he wanted to show a look at relationships and their challenges through an unexpected lens. He was inspired after listening to a radio interview with a man with Asperger’s. The New York Times reviewer, Jeanette Catsoulis, compliments the unpredictability of the script, the delicate humor, and the lovely Manhattan locations photographed by cinematographer Seamus Tierney. Mayer intercuts scenes of Adam’s maturation with scenes of the Buchwald family’s disintegration to show the audience just how important support groups are during trying times. Furthermore, he manages to make a film that’s funny but meaningful and give the audience characters to care about instead of laugh at and forget. You are such a great writer. Wow! So very in depth and thoughtful. I'm excited for your internship. Congrats! 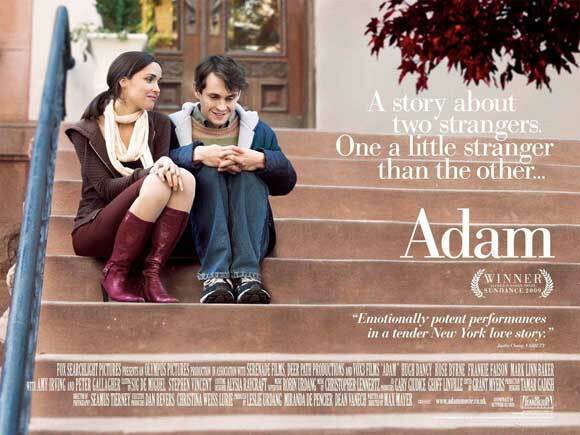 I saw Adam a while ago and thought it was the sweetest movie ever! Congrats on the new internship. Congrats on the internship! I remember this movie. I thought it was very sweet and an interesting take on the typical romantic movies. Great writeup! I sooo want to see this movie!! i have heard a lot of beautiful things about it!!! This sounds like a really good story. I have heard about it somewhere in the past -- can't remember where. I remember thinking I wanted to see it then, too. I really need to get on that. I want to watch it now - just the kind of movie I like. I have to see it now! looks like a very nice movie! This looks like a really good movie! I really like Hugh Dancy. Congratulations on the internship & the movie sounds great! 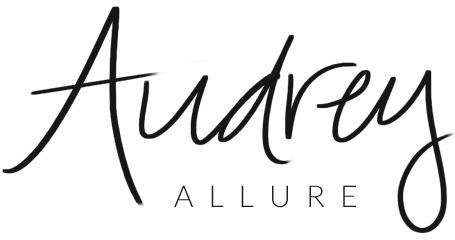 Congratulations on your internship Audrey! I hope you are enjoying the experience you are getting. This movie sounds interesting! Good luck with the internship, hope you learn and experience al lot of new things! I would love to see this movie and will be look out for it! It sounds really interesting. I should watch it! Thank you so much for your comments and your wishes. Don't forget to enter the giveaway. thank you for reminding me of this movie! been wanting to watch it!! Congrats on the new internship :) You totally deserve it! What a beautiful story and reflection of how love can be unexpected, imperfect, yet still remain love! Congrats on the Ann Taylor internship darling and do share more soon! What a lovely review, and congratulations on your internship! That's soooo exciting!